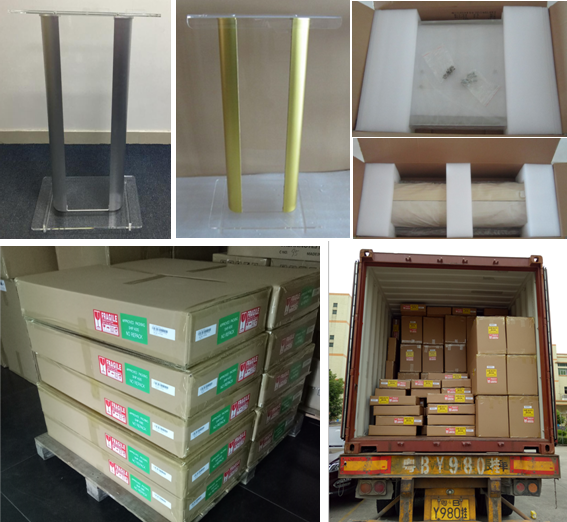 The large reading surface top allows for an uncluttered space when holding lecture materials or other items. 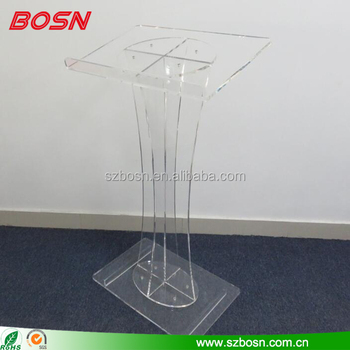 An acrylic podium creates a professional display area for presentations and speeches. Save your floor from scratches and keep the lectern in place with the 4 rubber feet affixed to the bottom of the unit. This floor lectern has a unique "X" design. 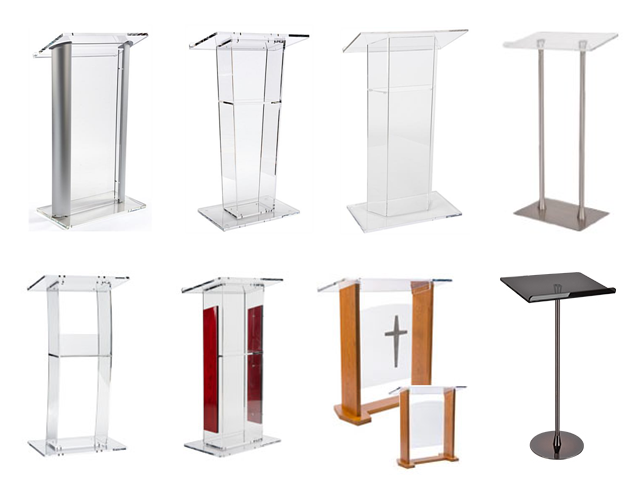 Use this acrylic podium in offices, universities, churches and more!